The Platinum Tools 1 5/16" Beam Clamp J-Hooks are suitable for heavy-duty hanging applications. 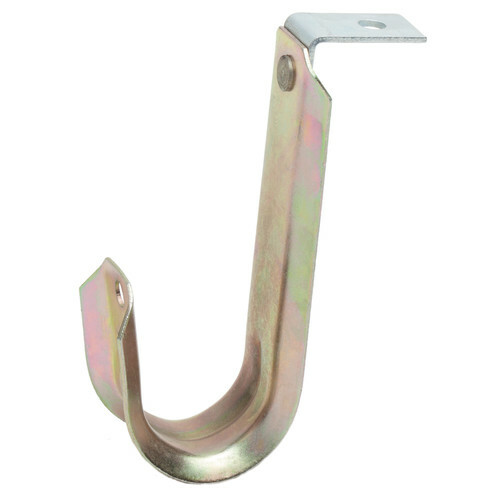 These traditional style, construction-grade, multi-purpose J-hooks provide stress-free cable support and help organize and build a distribution pathway for various types of cables. They are designed to be used for above-suspended ceilings and below-raised floors, garages, and shops.